A major expansion is approaching fast (scheduled for end of October). It will feature a new player ship, the Colonial Sentinel, a medium fighter class ship, which will impress with some sophisticated electronic warfare capabilities and a special shield, featuring twice as much capacity as the standard model. You will also be able to use a plethora of new weapons, devices and consumables to fool, distract, and defeat enemies in new ways. All-new factory space stations add further gameplay mechanics to the game experience, by offering special on-the-fly services, like refining and converting resources, upgrading ship capabilities or minor repair jobs. Furthermore, you will even be able to pay the Okkar Homeworld a visit. Along your journey, you will also encounter new story characters, who will offer individual questlines. More details about the content and the pricing will follow soon. This post was edited to reflect Michael's original statements made on October 5th. Will the expansion also be released for Xbox One ? 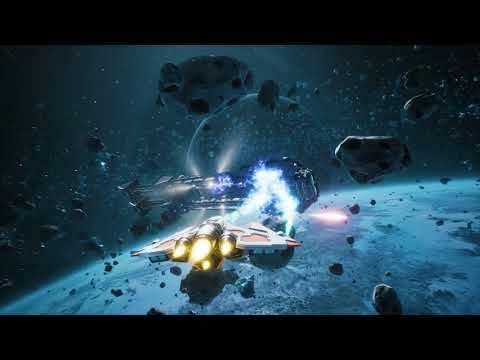 "Pilots, look forward to EVERSPACE™ - Encounters, a major expansion featuring a new player ship, lots of new equipment, all-new factory space stations offering various services on-the-fly, new story characters with individual questlines, and much more coming to PC in October 2017 and to Xbox in Feburary 2018." Just saw this. I can't wait. Any word on the exact release date as we are in the final week of October? It will be coming out this week!